Last week you all had to listen to me whine about the color challenge at Inky Paws. I was crying the blues about how difficult the color challenge was. Waaaa waaa waa.... Time to grow up and get out the Catherine Pooler inks. I find myself reaching for Newton's Nook's "cottage garden". 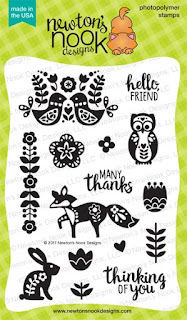 It has a great selection of stamps that I can use in a variety of situations. 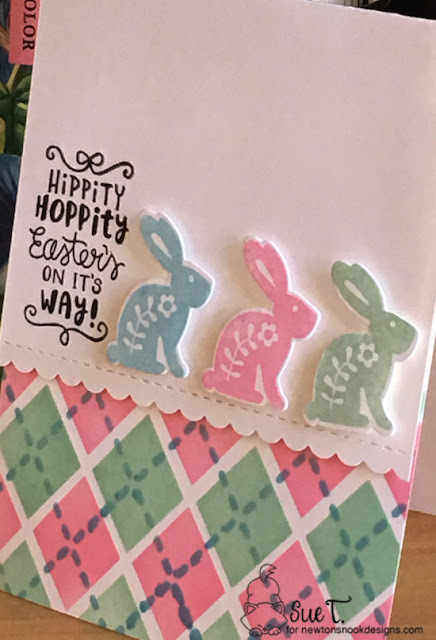 I grabbed the bunny and stamped it in the required colors. How cute they look in these pastel colors. I don't know about you but argyle is more spring than winter. Newton's Nook's argyle stencil was the perfect addition to the bunnies. 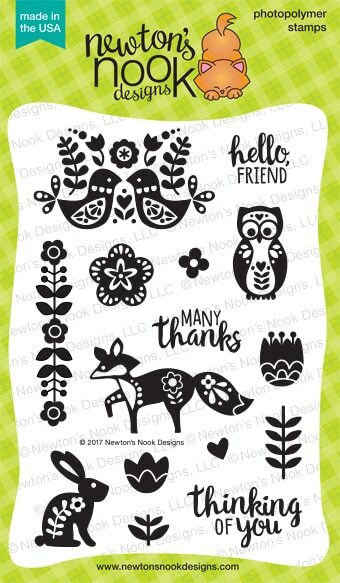 the sentiment comes from Newton's Nook's "spring pile up" stamp set. I love to use my dies in different ways. The scalloped border on my card was done with the "frames and flags" set from Newton's Nook. 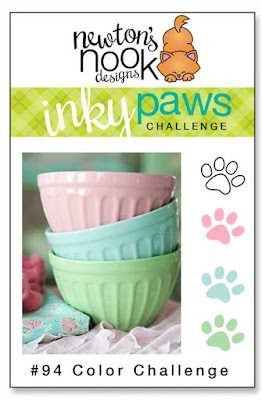 Head on over to Inky Paws and join in this challenging color challenge. Stretch yourself and your creativity! We will chose a RANDOM entry to win a $20.00 Newton's Nook store gift certificate. Our favorite entries from each challenge will be highlighted the following Monday, so all entries have a chance to be featured on the blog. The deadline to enter today's challenge is Friday, April 5, 2019 at MN CST. The winners will be announced on the following Monday at Inky Paws. This is so adorable! 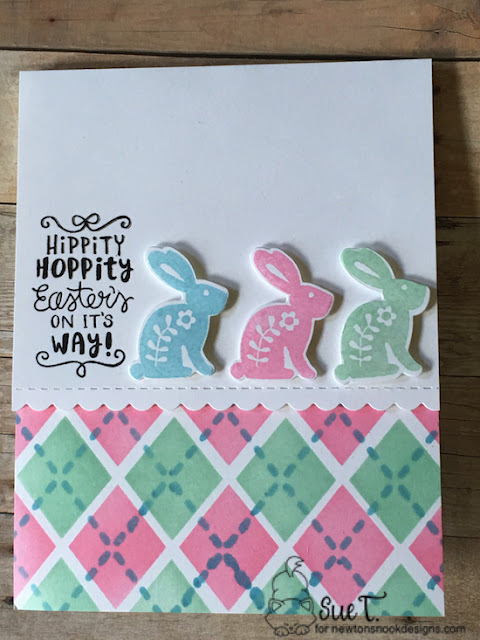 I love the bunnies in those colors and the argyle gives the perfect pattern! Love those bunnies! I agreee that argyle is not just for winter and I love the spring colors of your argyle! 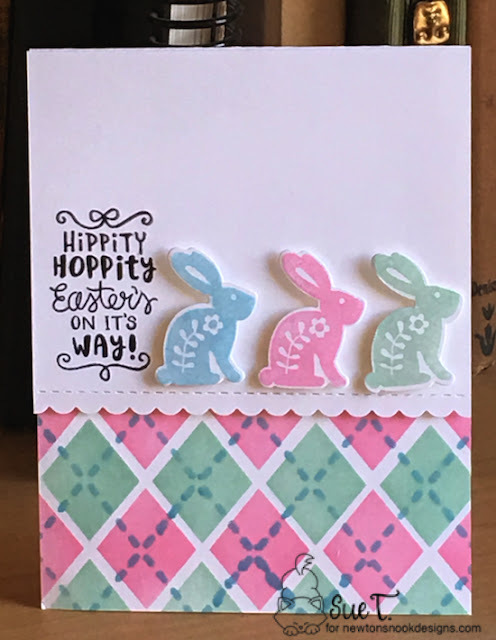 Love the card!